This talk provides a look into the fatigue that we’ve observed in operating and managing security operations teams. We look at some of the causes, indicators, costs and prevention techniques to help internal Incident Response (IR) and security teams be more effective. 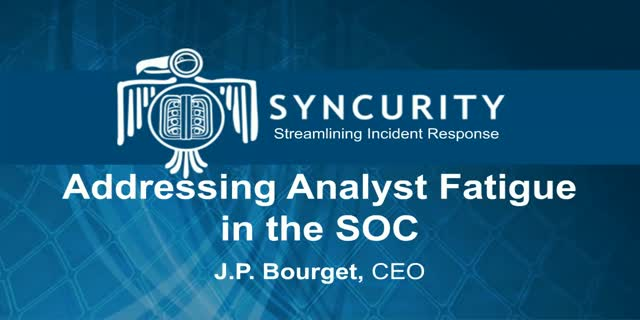 We will explore solutions like tooling, cross-training, continuous rotations and explain the benefits of these approaches and why you should rethink how you run your SOC/CIRT/MSSP.